FREE UK DELIVERY + £10 OFF YOUR 1ST ORDER. Enter code 'NCD10' at checkout. This is a beautiful Art Deco jewellery box, dating to the 1920s/30s. 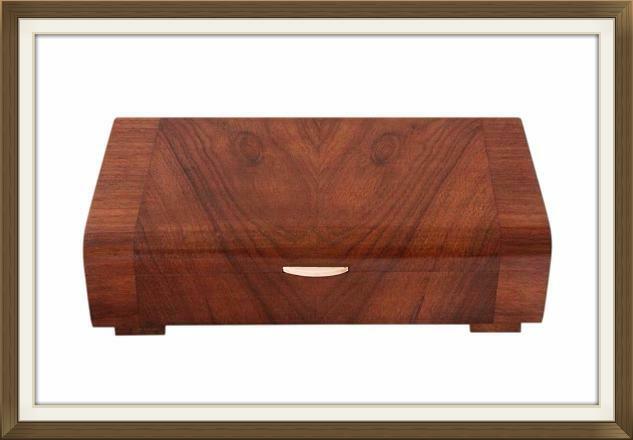 This box is made of solid Mahogany and has a truly beautiful veneered finish. It has wonderful Walnut veneers to the centre and beautiful Mahogany veneered bands on either side. There is lovely figuration to the wood, particularly to that of the Walnut. The lid has a stylish white Bakelite lipped handle, Bakelite being a popular new material of the Deco period. 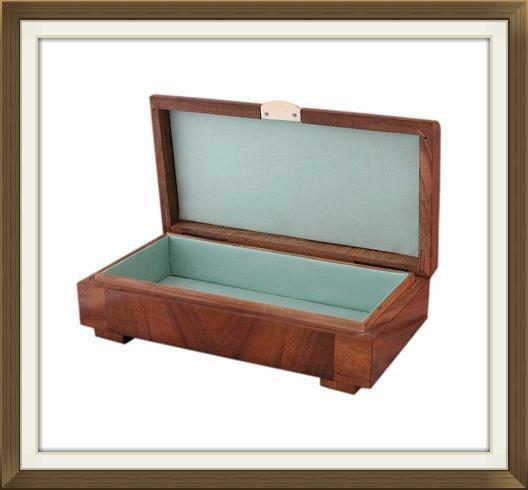 The box has a stylish flat streamlined shape which is typical of the Art Deco period. 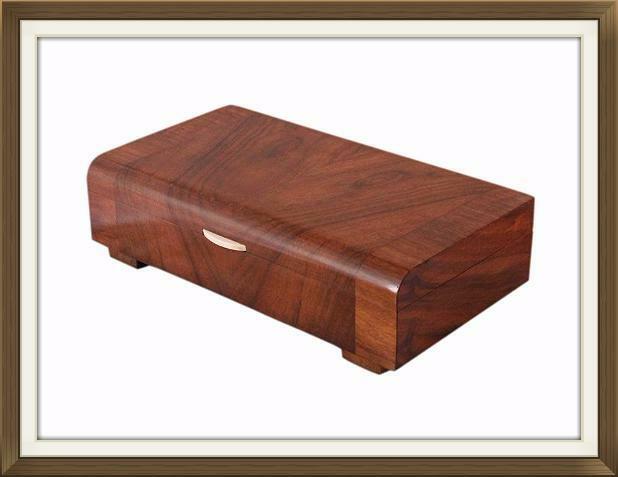 It stands raised on long Mahogany block feet. 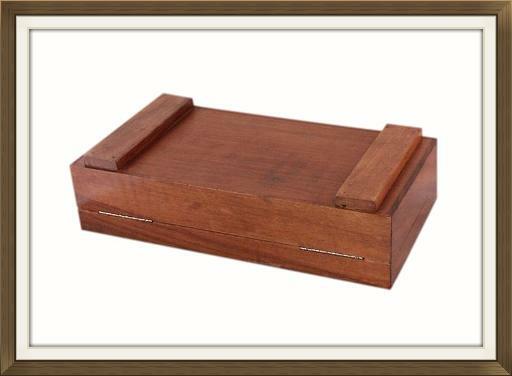 The box is complete with its original stop hinges which prevent the lid from falling back. The interior has been newly refurbished by our wonderful box restorer. It has a single long storage compartment with newly lined satin panels to the walls, and a new padded satin panel to the base. There is also a new satin panel to the inside of the lid. The satin is a beautiful pale teal blue/green shade. Read about our lovely skilled box restorer. This fabulous box is in excellent condition! It is of sound structure and completely free of damage. The interior linings, being new, are clean and free from splits/fraying. 16.0 by 10.2cm with a 3.0cm depth. This box will be posted FREE within the UK by Next Day Special Delivery. International postage is by Royal Mail International Tracked and Signed. Delivery is fast, within 3-5 working days to Europe and 5-7 working days to the rest of the world.